Inspector Verhagen was attached to the Radio Communications Branch. He had amongst other duties been involved in technical issues related to specifications and tendering for changes to the police radio system. The contract for this tender was awarded to Motorola. The circumstances of the tender process became the subject of an Internal Affairs investigation and later a Police Integrity Commission hearing, no action was taken against him. Verhagen became ill and was diagnosed and discharged from the NSW Police with Generalised Anxiety Disorder, Major Depressive Disorder and Metastic Prostate Cancer. 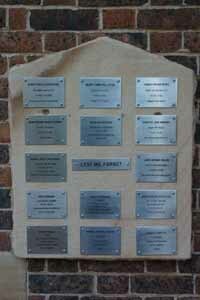 He died in February 2004. By Kim Newman-Fitt: He was in charge of NSW communications and a long time ago was a senior constable at Penrith, repairing radios etc. After that he was promoted (directly, because of his special electronic skills) to Inspector to run a division in Waterloo. Inspector Verhagen was also a brilliant artist and sold many of his paintings around the world mostly to other Police (Possibly had a gallery in the Blue Mountains). 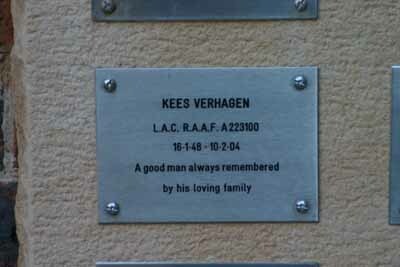 I worked with Kees in the Penrith radio workshop in the mid 80’s for a short time. Kees was one of those people you wished you could work with all the time. Natures gentleman. Rest in peace mate. Kev Turner.